“Samaraweera confirmed for the first time that special cells have been established within military intelligence to abduct LTTE sympathizers.” the US Embassy Colombo informed Washington. “Samaraweera confirmed that the Government uses a group called the “Lion Cubs” to engage in these extrajudicial activities. It is widely rumored in Sri Lanka that Army Commander Fonseka, with the knowledge and approval of Defense Secretary Gothabaya Rajapaksa, has set up special cells within military intelligence to go after suspected LTTE cadres and sympathizers in Colombo, Jaffna and other places.” US Embassy further wrote. 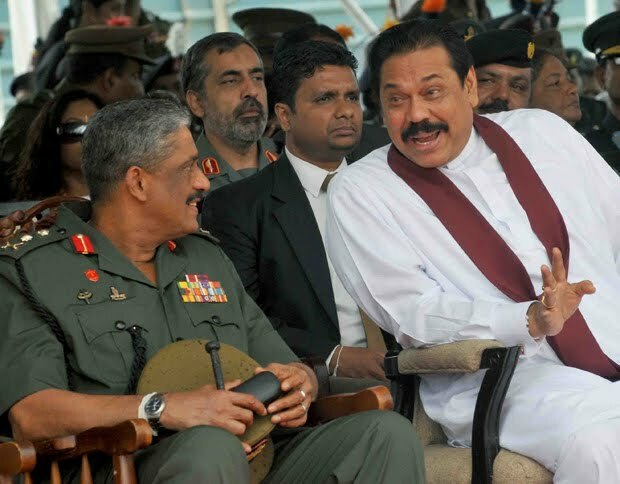 Army Commander Fonseka, with the knowledge and approval of Defense Secretary Gothabaya Rajapaksa, has set up special cells within military intelligence to go after suspected LTTE cadres and sympathizers in Colombo, Jaffna and other places. The Colombo Telegraph found the related leaked cable from the WikiLeaks database. The cable is classified as “SECRET” and recounts details of a meeting US Ambassador to Colombo has had with then Sri Lankan government MP , the SLFP Treasurer and Leader and District Organizer of Matara District Mangala Samaraweera on February 26, 2007. The cable was written on February 28, 2007 by the US Ambassador to Colombo, Robert O. Blake. Classified By: Ambassador Robert O. Blake, Jr., for reasons 1.4(b, d). groups use to dispose of the bodies of their victims at sea.